Do you or your children play or take part in contact sport? Here's why you should invest in a correctly fitted mouthguard. A bad mouthguard is like holding your breath while running. If you can't breathe properly, it will undoubtedly affect your performance. 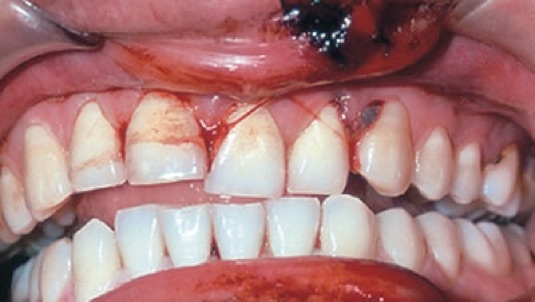 Dental injuries are the most common type or orofacial injury sustained during participation in sports. A properly fitted mouthguard must be protective, comfortable, resilient, tear resistant, odourless, tasteless, not bulky, cause minimal interference to speaking and breathing, and (possibly the most important criterion) have excellent retention, fit, and sufficient thickness in critical areas. How much damage can you suffer without a mouthguard or even with a poorly fitting one? Ouch. 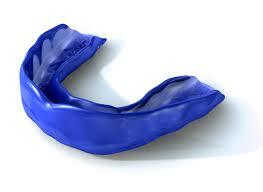 Unfortunately, the word “mouthguard” is universal, generic and includes the good, the bad and the ugly. ‍A one size fits all is not recommended! Teeth that are knocked out may cost many thousands of pounds, hours in the dentist’s chair and the possible development of other dental problems such as periodontal disease in a lifetime. They and are the least expensive and least protective. They lack any retention and therefore must be held in place by constantly biting down. They are often altered in an attempt to make it more comfortable, reducing the protection. We do not recommend this type of mouthguard to our patients. Made from a thermoplastic, they are softened in boiling water and formed in the mouth by using finger, tongue, and biting pressure. Again, due to their poor fit, poor retention and gagging effects, users also cut and alter them. This further reduces the protection. We do not recommend this type of mouthguard to our patients either. ‍The openings left by the boil and bite do not offer enough protection. These are supplied by us and provide the fullest protection. The design must be appropriate for the level of competition being played. Does there need to be additional protection in any specific area? Is there orthodontic treatment? 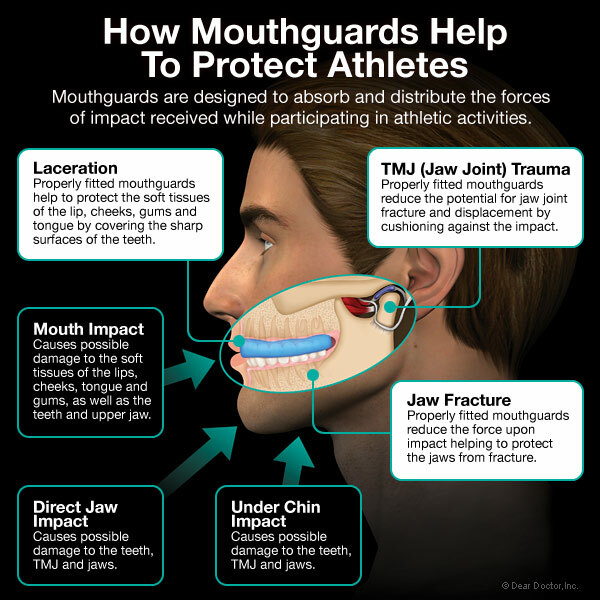 These are important factors that the sports retailer and the boil & bite mouthguard CANNOT begin to address. They give full adaptation, retention, comfort, and stability of material and interfere least with speaking having virtually no effect on breathing. Single layer vacuum mouthguards are usually adequate, but it is now being shown that multiple layer (pressure laminated) mouthguards may be preferred for some full contact sports. As health professionals, we highly recommend the custom made mouthguard, for the very best in oral/facial protection.